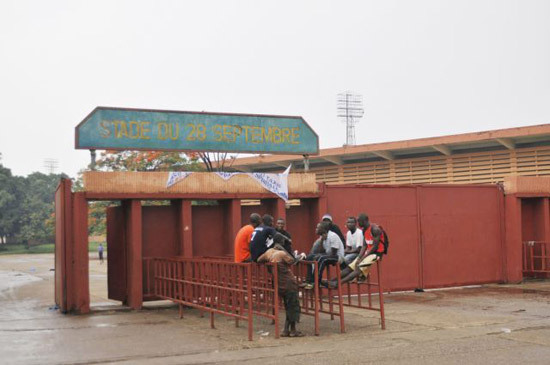 Quietly recalling the memory of people jumping from stadium walls to save their lives, and others falling like flies from the gunfire of soldiers, Bademba Diallo remembers thinking in the chaos of that afternoon: "you only die once." Diallo, 47, along with nearly 50,000 others, had gathered for a rally in Conakry, Guinea, on Sept. 28, 2009, to peacefully protest junta leader Moussa Dadis Camara's broken promise not to run in the next presidential election. 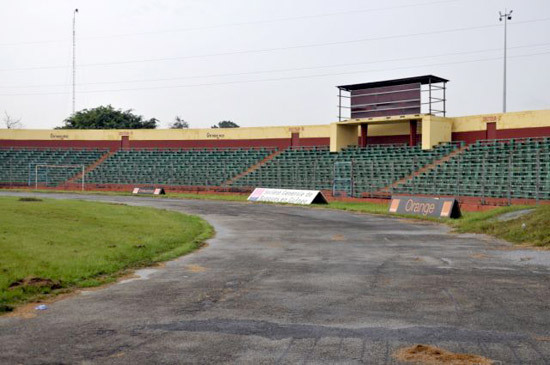 When the demonstrators gathered in the city's stadium, security forces opened fire. By the end of the massacre, nearly 200 people were dead, 1,400 injured, and dozens of women raped. In a country that has endured decades of dictatorship, this incident has only further fueled Guineans desire to freely elect their own leader for the first time. The opportunity for full democracy has never happened until now. "The June 27 presidential election and Sept. 19 runoff are restoring the pride of many Guineans –there isn't any other action that Guinea can take that would impact every citizen, their national identity, and what they have phrased as their 'return to the world,'" said Carter Center Field Office Representative John Koogler. The Carter Center sent a 30-person delegation to observe Guinea's June 27 election, co-led by General Yakubu Gowon, Nigeria's former head of state, and Dr. John Stremlau, Carter Center vice president for peace programs. Gowon and Stremlau will also co-lead the Center's observation mission to Guinea's runoff election on Sept. 19. The good will and excitement surrounding the election was marred by deficiencies in the election administration, including the count and results process, polling station allocation, and voter registration. Guineans and the international community alike hope that these issues will be resolved for the runoff election so that the voices of citizens across the country can be heard. 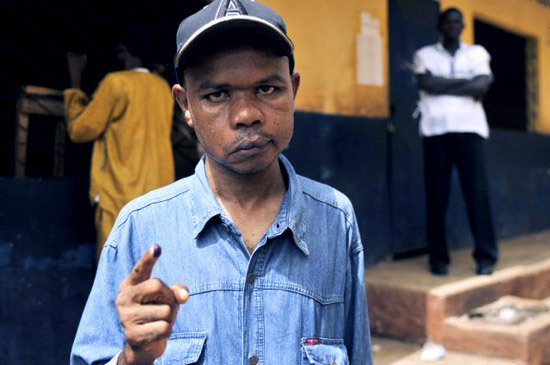 Diallo, like many other Guineans, eagerly voted on June 27, and he also worked at a polling station in Conakry. While he still bears emotional scars from that day in the stadium – where his arm was broken by soldiers who beat him, and friends around him died – Diallo remains hopeful that Guinea will finally become a real democracy with an honest leader who will do what is just for the whole country. Bademba Diallo, who still bears emotional scars from the 2009 stadium violence, served as a polling station worker during Guinea's June 27 elections. Guineans, such as those gathered at the stadium where massacre took place in Conakry (above, below), are hopeful for their country's future.